Conor Bergin Sophomore guard Cameron Satterwhite celebrates during the MVC Tournament March 4. Henry Redman Junior guard Adarius Avery celebrates a big play against Illinois State Feb. 24. 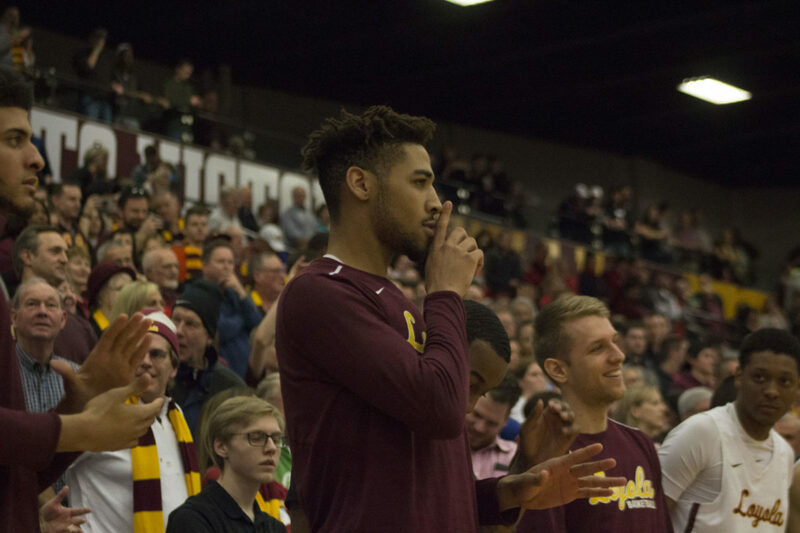 Loyola sophomore guard Cameron Satterwhite and junior guard Adarius Avery took to social media to announce their decisions to transfer from the men’s basketball program this week. Satterwhite averaged 1.7 ppg and 1.6 rpg in 35 games for Loyola this season, while Avery averaged 3.0 ppg and 1.9 rpg in 12 games after recovering from an arm injury. 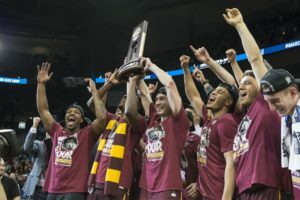 The departures open up two more scholarships for head coach Porter Moser to offer when the regular signing period begins April 11. Moser has three incoming first-years signed so far for next season, led by four-star forward Franklin Agunanne. 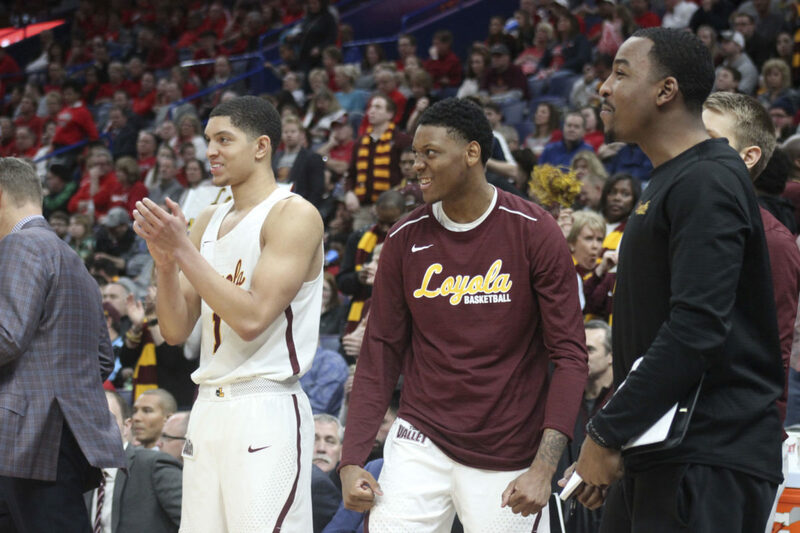 Loyola is now expected to return eight of its 15 players to the roster next season, including Missouri Valley Conference (MVC) Player of the Year Clayton Custer and MVC Freshman of the Year Cameron Krutwig.